Hey gang! It's that time of year again. 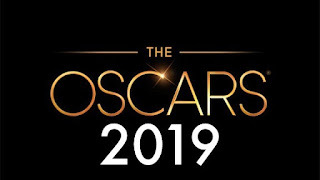 The Oscar Nominations are due to be announced in the wee hours of tomorrow morning. So, here are my predictions for said nominations. Here we go! I think the first eight are sure things, with the top three vying for the actual Oscar in February. Numbers nine and ten are questionable. Then again, we tend to get nine nominations every year (there can be anything between 5 and 10), so maybe one of them won't even come into play. As for my spoiler choices, the chances are slim that either one would sneak in, unless we do get ten. 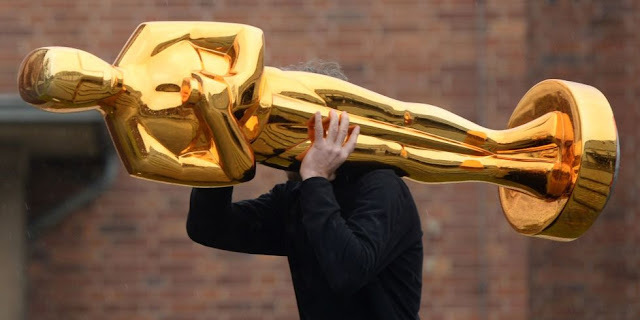 The Oscar is a battle between Cuaron and Cooper...with Cuaron most likely coming out the winner (his victory would be the fifth Mexican director win in the last six years). Along with them, I believe Spike Lee is a shoo-in as well...tho he has ruffled enough feathers in the biz, to make him not so much a shoo-in. As for the other two spots, that is pretty much a battle between four men (no women of course) with any of them possibly getting a nod tomorrow morning. Alas, the late Orson Welles is not eligible for his finally finished, nearly fifty years in the making/waiting, film, The Other Side of the Wind. 4. Melissa McCarthy in Can You Ever Forgive Me? At one time or another, Close, Gaga, and Colman have been seen as frontrunners...with Close taking that spot after her Globes victory. All three are shoo-ins for nominations tomorrow morning, as is McCarthy. That fifth spot is a bit tougher. No one really knows who Aparicio is, but I still think she will grab a (semi)surprise nomination tomorrow. Still though, Emily Blunt's Mary Poppins could sneak in that fifth spot. And speaking of sneaking in...I would love to hear thirteen year old Elsie Fisher's name being called in the morning. Or maybe Carey Mulligan in one of the best performances of the year. Any way you look at it, with all these great performances in this category this year...someone deserving is getting snubbed. Bale, Malek, Cooper, & Mortensen are getting nominated tomorrow. No doubts. That damn fifth spot though. I think Washjngton and Hawke are pretty much at a 50/50 race for that spot. I could have switched them up and had no qualms. It could really go either way. I suppose First Man's Ryan Gosling could sneak in there instead. Doubtful though. Matt Dillon though, playing a serial killer in a Lars von Trier film...probably not...even if I do think it is a better performance than any of the probable nominees, save for Hawke's brilliant turn in First Reformed...which is probably the finest performance of the year. Regina King is winning the Oscar. She seems to be the only true sure thing at this point. Adams, Weisz, & Stone will have to settle for "just" a nomination. Then we have that fifth spot again. It is between Foy and Kidman, with Foy having the slight edge at the moment. It would be great to see Portman sneak 8n, but very doubtful. 3. Richard E. Grant in Can You Ever Forgive Me? Ali, Elliott, & Grant are pretty solid sure things. The Oscar itself will probably go to Ali (just two years after his win for Moonlight), though Elliott or Grant could win on the idea they have never won in long careers. Rockwell & Driver are pretty solid choices too, although Chalamet could sneak in. And, if Black Panther hits big, Jordan could grab that last spot instead. There ya go! Let's just leave the other categories up to fate and pretend I predicted them all correctly. Huzzah! 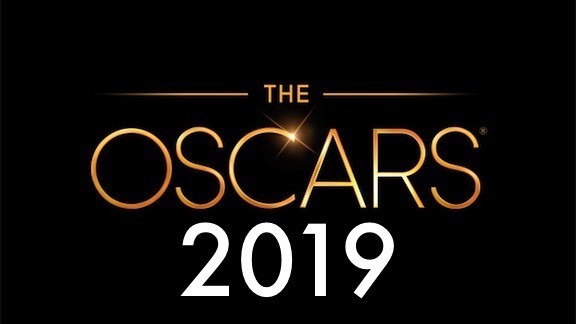 I'll be back tomorrow with a summary of all the nominations...and letchya all know how well I did with my predictions.